Courtesy Round Mountain Gold Corp. Leadership at Round Mountain Gold Corp. speak about a slide on the southwest corner of the gold pit in Round Mountain. Company officials report that they've been monitoring the potential for a slide since earlier in 2018 with an actual slide occurring on Oct. 28, 2018. Courtesy Round Mountain Gold Corp. Operations of the Round Mountain Gold Corp. in Round Mountain. 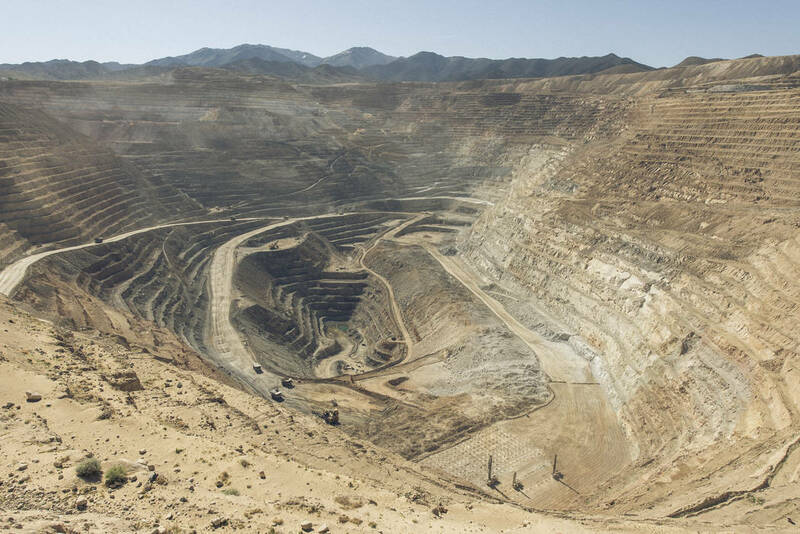 The mine sits about 55 miles north of Tonopah. Round Mountain Gold Corp. had been closely monitoring movement in the area in the southwest corner of the gold pit since earlier in 2018 with a slide taking place on Oct. 28, company officials stated. Round Mountain has been preparing for the slide. “All is in our mining plan and our budgeting process, so we have done all of our planning; work going forward was based around the fact that this was going to happen,” Hendriks said in a phone interview. 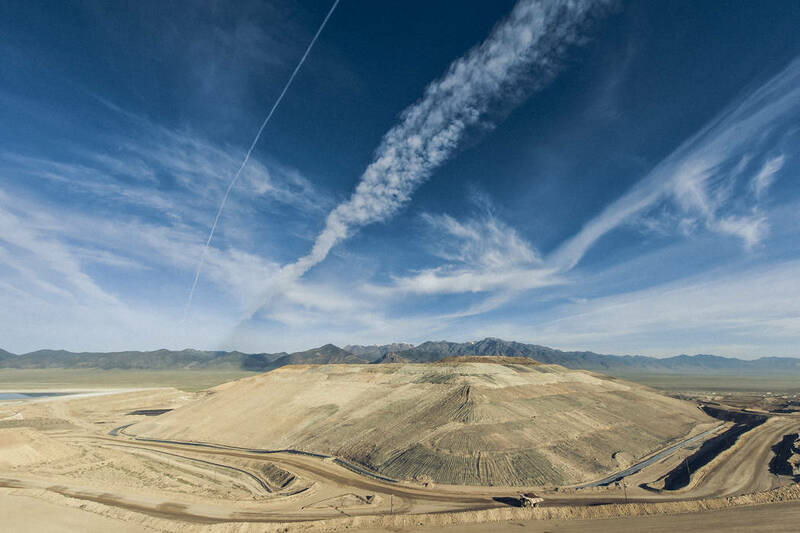 The mine employs roughly 800 workers at the Round Mountain mine and is one of Nye County’s largest employers and top private employer in the county, according to information in a second-quarter report from the Nevada Department of Employment, Training and Rehabilitation. Hendriks explained that extensions to the mining life at Round Mountain are typically done in blocks of three to seven years. Round Mountain Gold Mine is 55 miles north of Tonopah and is a wholly-owned subsidiary of Toronto-based Kinross Gold Corp. Kinross, which held 50 percent ownership of the Round Mountain operation since 2003 through a merger, closed on a deal to acquire the remaining 50 percent of the operation from Barrick Gold Corp. in early 2016. Kinross also holds another mining project at Bald Mountain in White Pine County and has a global presence as well. The senior gold mining company employs approximately 9,300 people globally and has mines and projects in the U.S., Brazil, Chile, Ghana, Mauritania and Russia, according to information on the company website.